There has been much misinformation about Islam. Reports in Western media tend to perpetuate stereotypes that Islam is a violent religion and Muslim women are oppressed. Popular films like “American Sniper” reduce places like Iraq to dusty war zones, devoid of any culture or history. Fears and anxiety manifest themselves in Islamophobic actions such as burning mosques or even attacking people physically. At the heart of such fear is ignorance. A December 2015 poll found that a majority of Americans (52 percent) do not understand Islam. In this same poll, 36 percent also said that they wanted to know more about the religion. Interestingly, those under 30 years were 46 percent more likely to have a favorable view of Islam. These statistics highlight an opportunity for educators. As a scholar of Islamic art and architecture, I am aware that for the past 20 years, educators have been trying to improve the teaching of Islam – both in high school and college history courses. The problem, however, is that the teaching of Islam has been limited to its religious practice. Its impact on the arts and culture, particularly in the United States, is seldom discussed. In high school history books, there is little mention of the intertwined histories of Europe, Asia and Africa in the middle ages and the Renaissance. There is even less mention of the flowering of art, literature and architecture during this time. In a world history textbook for New York public high schools, for example, the “Muslim World,” appears in the 10th chapter. In condensing a thousand years of history – from the seventh to the 17th century – it focuses only on “Arab armies” and the rise of early modern Muslim empires. Palatine Chapel borrowed from the art of the Fatimids. Such narrow focus misses out on the cultural exchanges during this period. For example, in medieval Spain, the Troubadour poets borrowed their lyrical beauty from Arabic. Arabic was the courtly language of southern Spain until the 15th century. 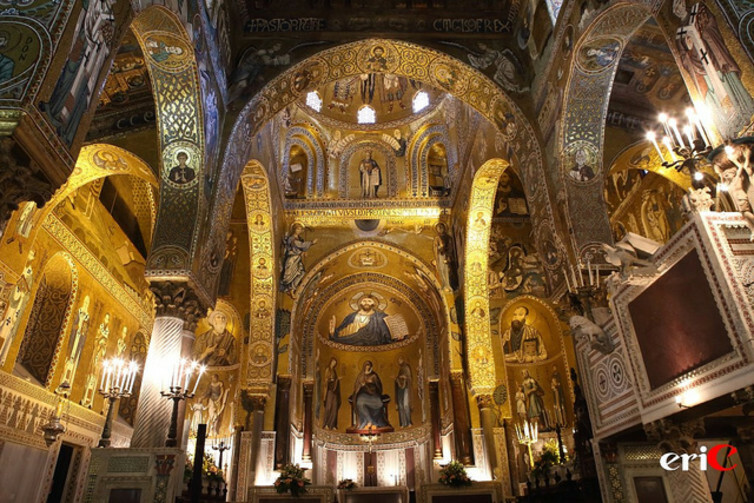 Similarly, the 12th-century Palatine Chapel in Sicily was painted and gilded in the imperial style of the Fatimids, the rulers of Egypt between the 10th and 12th centuries. Such exchanges were common, thanks to the mobility of people as well as ideas. The point is that the story of Islam cannot be told without a deeper understanding of its cultural history: Even for early Muslim rulers, it was the Byzantine empire, the Roman empire and the Sassanian empire (the pre-Islamic Persian empire) that provided models. Such overlaps continued over the centuries, resulting in heterodox and cosmopolitan societies. The term “Middle East” – coined in the 19th century – fails to describe the complex social and cultural mosaic or religions that have existed in the region most closely associated with Islam – and continue to do so today. So, what should educators do to improve this literacy? From my perspective, a fuller picture could be painted if identities were not to be solely defined through religion. That is, educators could focus on the cross-cultural exchanges that occurred across boundaries through poets and artists, musicians and architects. Both in high school and university, the arts – visual, musical and literary – could illustrate the important connections between Islam and other world histories. For example, a class on the Renaissance could explain how the 15th-century Italian painter Gentile Bellini gained famed at the court of Mehmet II, the conqueror of Istanbul. Mehmet II commissioned Bellini to design an imperial portrait that was sent to rulers throughout Europe. His art presents a wonderful example of the artistic exchanges that took place between early modern cities such as Delhi, Istanbul, Venice and Amsterdam. It might also help students to know that the Dutch painter Rembrandt collected Mughal miniature paintings. Silks from the Safavid empire (the Iranian dynasty from the 16th to 18th century) were so popular that Polish kings had their coat of arms woven in Isfahan. This exchange of art continued into the Age of Enlightenment, a time when ideas around politics, philosophy, science and communications were rapidly being reoriented in Europe. A class on the Enlightenment may highlight the fact that writers like Montesquieu turned to the Middle East to structure a critique of their own religious institutions. Goethe found inspiration in Persian poetry. 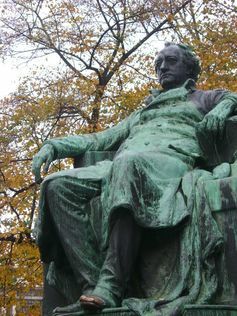 A poetry class could similarly show connections between the German author Wolfgang von Goethe’s writings and Islam, as exemplified in his “West-Eastern Diwaan,” a collection of poems. This epitome of world literature was modeled after classical Persian poetry in its style, and inspired by Sufism, the mystical tradition in Islam. Most students are open to seeing these connections, even if it might require overcoming their own preconceptions about Islam. For example, when I teach my class on medieval architecture, students are surprised to learn that the two oldest continuously run universities in the world are in North Africa (in Fez – a city in Morocco – and Cairo). Indeed, it is not easy to disentangle contemporary politics from historical fact, to teach more fully the culture and diversity of a religion that is almost 2,000 years old. Perhaps educators could learn from a recent exhibition at the Metropolitan Museum of Art in New York titled “Jerusalem 1000-1400: Every People Under Heaven.” The show illustrates how Abrahamic religions – that is, Christianity, Judaism and Islam – borrowed freely from each other in the realm of art, music and literature. Jerusalem was home to diverse populations and the arts played an important role within its religious and political life. It’s not in the past alone. We see these connections continue today – here in America, where Islam is an intrinsic part of the culture and has been for centuries. From the Mississippi delta to the Chicago skyline, Muslims have made contributions, which might not be so obvious: West African slaves in the South were central to the development of the blues. Its complex vocalization and rhythms incorporated the rituals of Islamic devotion many of them had to leave behind. The same is true of architecture. A quintessential example of modern American architecture is the Sears Tower in Chicago, which was designed by the Bangladeshi-American structural engineer Fazlur Rahman Khan. Muslim contributions to art and architecture don’t just reflect the diversity of America, but the diversity of Islam in this country. Muslims in America comprise a rich tapestry of ethnicities, languages and cultures. This knowledge is particularly meaningful for young Muslim Americans, who struggle to claim their place in a country in which they are sometimes made to feel like outsiders.